HÀ NỘI — The first World Vietnamese Traditional Martial Arts Championships have closed in HCM City. As the hosts and the origin of this martial art, Việt Nam dominated the tournament and topped the scoring with 19 gold and two silver medals. Russia came in second, with four golds, and France was third with three golds. Speaking at the closing ceremony on Saturday, President Hoàng Vĩnh Giang said despite this being the first tournament, the world championships were a successful event and made a remarkable impression on local and international friends. The three-day tournament lured martial artists from 50 delegations representing 27 countries who competed in five combat categories, as well as performance disciplines. 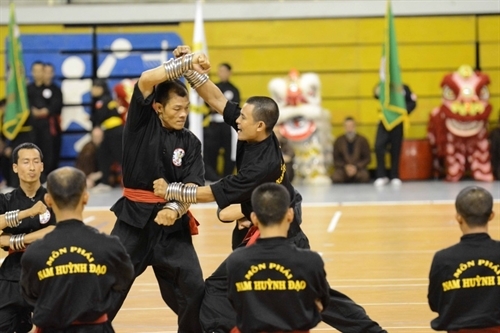 The first World Vietnamese Traditional Martial Arts Championships closed on Saturday in HCM City.